Another cracker from the Whisky Wire, this time on Arran, one of my favourite distilleries. 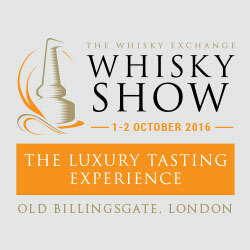 Loads of character, interesting and beautifully made whiskies, lots of variety, single casks, different finishes. What’s not to like? Nose – Gently sweet, pear, fresh floor wax, opal fruits. Getting cereal notes, wheat. Fruit is delightful if a little lacking in intensity, sweetness moves into toffee. Body – Sweet, rich malt, more toffee, quite spicy, chilli bitterness. Finish – Medium long, loads of sweetness, bitter back-note, becomes more spicy. The wood is a little off balance and this bitterness takes over eventually. Nose – Medium, fruity wax. Loads of deep orange polish, neat bubble blowing mixture. Changes/swings to more coastal and back to the oranges. Finish – Fizzing citrus and wood, sechuan peppercorns linger, malt toffee right at the end. What’s good about it: Lovely, spicy sherry, beautiful nose. Great value for money for such high quality whisky making and result. Nose – Spicy, wood, some fresh fence panel, chocolate, kiwi fruit, fountain pen ink. A little harsh compared with the previous fruit extravaganza – getting bananas and finally the wax. Body – Deep toffee, nuts, loads of malt, very sweet and smooth, ripe, delicious. Raisins, pears, fabulous. Finish – Quite short, perfectly smooth and balanced. What’s good about it: Stunning palate, incredibly smooth and voluptuous. This may be the first whisky I’ve tried where the nose has been outclassed by the body. 7800 bottles out of 35 bourbon casks and 10 sherry. Still available, just. Nose – Beautiful sherry nose, chocolate, raisin, wax, roses, honeysuckle, lychees. Very floral, extreme balance of wax and fruit. Stunning nose. The first whisky I’ve tried with rose on the nose. Body – Rich, malty, balanced. Stewed apples, spicy Arran signature and well balanced. Finish – Long, malted, fizzing edge, quite tannic, good structure. A little low on the fruit for my taste but its correctly balanced so I won’t hold that against it. Water brings more sweetness. What’s good about it: Incredible nose (I must try blending this with the cask strength! ), total balance, beautiful whisky.